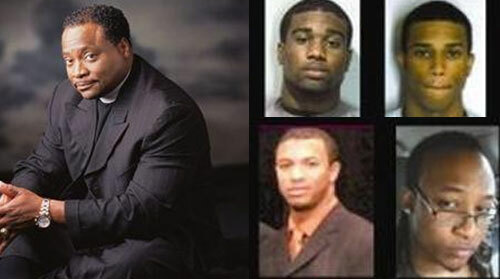 *Several of the young men who say they were sexually abused by Bishop Eddie Long are reportedly planning to tell their story in a new book called “Forsaken” in the wake of his death on Sunday, Jan. 15. According to the Atlanta Journal-Constitution, four of the five men who received a financial settlement from Long’s New Birth Missionary Baptist church in 2011 are in on the tell-all. “As much as we’d like to make a statement about the passing of Bishop Eddie Long, we’ve all decided to remain silent, for now,” read a statement from Spencer LeGrande, Maurice Robinson and Anthony Flagg when asked about Long’s death by AJC. They said Jamal Parris, the fourth former New Birth member to sue Long, also consented to the statement. The authors, still shopping for a publisher, will focus on their lives after breaking ties with the bishop, according to the blog Straight from the A. Long has denied all allegations of sexual abuse made against him.